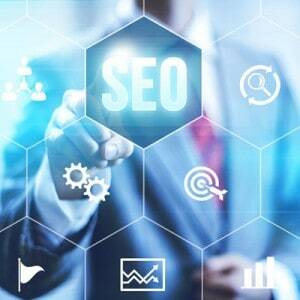 Affordable SEO Marketing for Small and Medium Size Businesses. We Drive Qualified Traffic to your Site. Let us develop your new site or transform your existing site into a professional business tool. Stand apart with a responsive, search engine friendly, Austin Website Design. Offering complete custom and template based solutions with affordable options. Discover how Austin search engine optimization and marketing plans can help your business succeed in the toughest business environment. Affordable plans for small and medium size businesses. Celebrating 19 years of online marketing experience. No other Online WebSite Builder is as easy to use or has as many advanced features as our Business Sitebuilder. 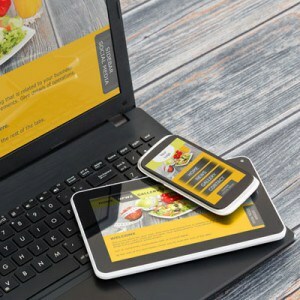 If you need a Website that is created to be device Responsive, Secure, Scalable, Customizable and easy to use, look no further. With our Website maintenance packages, it’s like having your own virtual IT department right down the hall. We’ll keep your Website updated professionally with all of your edits, changes and modifications. Our Managed Austin Web Hosting services are designed to be trouble free and scalable so you can grow your business. Accounts are based on the Rackspace Cloud with CentOS and Plesk control panel. Register your domain name with us and get a discount on our Web Design, and Hosting services. Be sure to take advantage of all of the new domain extensions available. We are a turnkey Web services company specializing in Affordable Austin Web Design and Search Engine Optimization/Marketing services. We serve small to medium size businesses nationwide also provide personalized services to local customers in Austin, San Antonio, the Hill Country Region and the entire Houston Metro area. Supporting Services include Website maintenance, online Website builder (SiteBuilder), Rackspace Cloud hosting, consulting and support. Want to meet to discuss your project? Just fill out our quotation form and we’ll contact you and setup a face to face meeting to discuss your plans. AWSP is celebrating our 20th year of serving customers. After building our own website we thought we did everything right and were excited to see the results. Well, after months of crickets chirping and very minimal web site traffic, we decided to get serious and call Advanced Web Site Publishing. After spending several hours getting to know our company and industry, AWSP rebuilt our site from the ground up and provided us with a great looking but more importantly, highly efficient and search engine friendly website. Over the next few months we started to see excellent Google search rankings, higher website traffic and most importantly new business directly contributed from AWSP’s work. “We are very pleased with the services provided by AWSP. Our website is very intuitive and the end result exceeded our expectations. AWSP proved to be a very valuable resource in assisting us to project a positive image and business presence on the web. We are extremely impressed with their web design and graphic design capabilities. Our site looks amazing and contains very useful information for our Coast Guard Personnel as well as the American Public. https://www.awsp.com/wp-content/uploads/2017/08/sitebuilder-update-497jpg.jpg 328 825 Keith Hickman https://www.awsp.com/wp-content/uploads/2016/02/awsp-logo3-300x82.png Keith Hickman2017-08-22 14:45:362017-11-09 19:27:11New SiteBuilder Updates Online.